#CCU Geofilter – The best news of the week for me definitely came on Tuesday when I received word from Snapchat that they had accepted our geofilter. For those who don’t know, a geofilter is an overlay (basically a cool frame) that Snapchat users can utilize only when they are in a specific area. The one I submitted on behalf of Coastal Carolina obviously covers the area of our campus. Thanks to the work of our graphics team, specifically the talented Dorothy, the filter was finally accepted and by Wednesday it was live on Snapchat. Our students greeted the development with the enthusiasm that is usually reserved for CINO Day or the cancellation of classes. 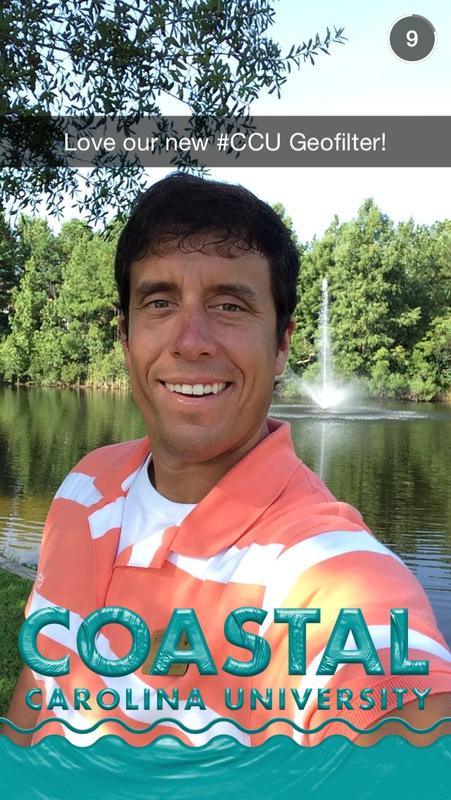 Our Coastal Carolina University Geofilter was accepted and it turned out great! Hit the Showers, Tom Brady – I was delighted with the news that the NFL would uphold the entirety of Tom Brady’s suspension. The quarterback cheated, lied, and did all he could to sabotage the investigation. Those actions definitely warrant every game of his forced hiatus from the Patriots. I am so sick of Brady’s defiance and am dreading the fact that the circus will go on much longer due to his plans to take this matter to federal court. Tom Brady should just be thankful that he lives the life that he does, own up to his arrogance, and sit the games out quietly. Restaurant News and Notes – T.G.I. Fridays is running commercials about endless appetizers for $10. Sidney and I went to our Myrtle Beach location on Saturday night to cash in on the deal only to be told at our table that the specific restaurant we were at had decided not to do the promotion. * I found my new favorite fast food ice cream spot. For the first time in my life last week, I tried a Sonic Blast. I can count the numbers of times on one hand that I have ate at a Sonic restaurant but give me a month or so and that will change. The ice cream was fresh and every bite I took of my peanut butter cookie dough blast was loaded with toppings. At this very moment, I think I can say that I would take a Sonic Blast over a Dairy Queen Blizzard. * I still need to try Pizza Hut’s hot dog pizza. Disturbing – If my Thursday Rundown wasn’t so boring tonight, I wouldn’t share this horrendous story. Right out of South Carolina, news recently broke about an unfathomable method of child abuse. A mom left her 2-year-old son, who was unresponsive and bruised, inside her home away from medical care. Bad enough, right? It gets much worse. It turned out that the inside of this house was covered in garbage, feces, and dead animals. My stomach turns badly enough when I watch “Hoarders.” I couldn’t imagine the horror in this residence. Law enforcement said they discovered 48 dead rats, 10 dead pythons, and six dead tarantulas. This was in addition to multiple other animals that were actually still alive. Poor kid. How was I so lucky that I was born to good parents who lived in a nice, clean house? Wedding Update #4 – Sidney and her mom have done such a great job wasting no time at all getting things squared away for our June 11 date. Our reception venue, caterer, and photographer are now all booked. As all of these developments became official late last week, it has allowed Sidney to relax a little bit more this week. She deserves it! There you have it. I wasn’t kidding when I said tonight’s Thursday Rundown would be a little watered down. I hope your weekend isn’t though! As always, thank you for your readership. Don’t Blink. My fiancé is an amazing cook. Lucky for me, I will be eating well for years and years to come. But every now and then, I like to give Sidney a little break. If she isn’t cooking or we aren’t going out to eat, I test out my culinary skills. 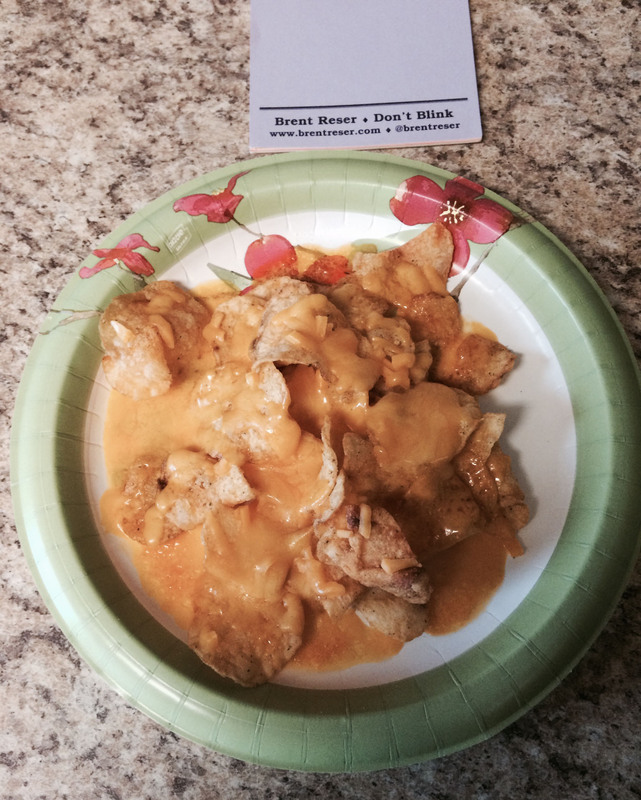 In tonight’s blog post, I would like to share with all of my hungry readers three different meals I whipped up in the “kitchen” recently. Nachos With a Twist – On an evening where Sidney and I had enjoyed a late lunch, we wanted to do something a little lighter for dinner. I told her to relax while I made something up. In the Pacific Northwest there is a brand of kettle chips called Tim’s. They make a jalapeno flavor that is hands down my favorite chip in the world. The crunch, thickness, and heat of Tim’s jalapeno chips can’t be beat. Sidney thinks so too. I introduced them to her over Christmas and she fell in love. We enjoy them so much that we brought a bag back with us after our Christmas visit and after our visit in June. My mom sent Sidney a bag for her birthday. Anyway, a huge light bulb went off in my head. Why not use Tim’s jalapeno chips instead of boring tortilla chips for nachos? I grabbed the Tim’s bag out of my pantry that I had brought back from my trip to Spokane and tossed a bunch of them on two plates. I then reached for my pre-grated cheese in the refrigerator and sprinkled a couple of handfuls over the chips. I then placed the plates (Sidney’s first) in the microwave and cooked them both perfectly so the cheese was just starting to ooze. The “heat nachos” tasted great. These are my now famous jalapeno chip nachos. I do have a confession though…these are made without Tim’s chips. I didn’t take a photo of the original at the time so after work today I had to go to the store and buy an alternative brand of jalapeno chips. Believe me, these nachos are not the same without Tim’s. 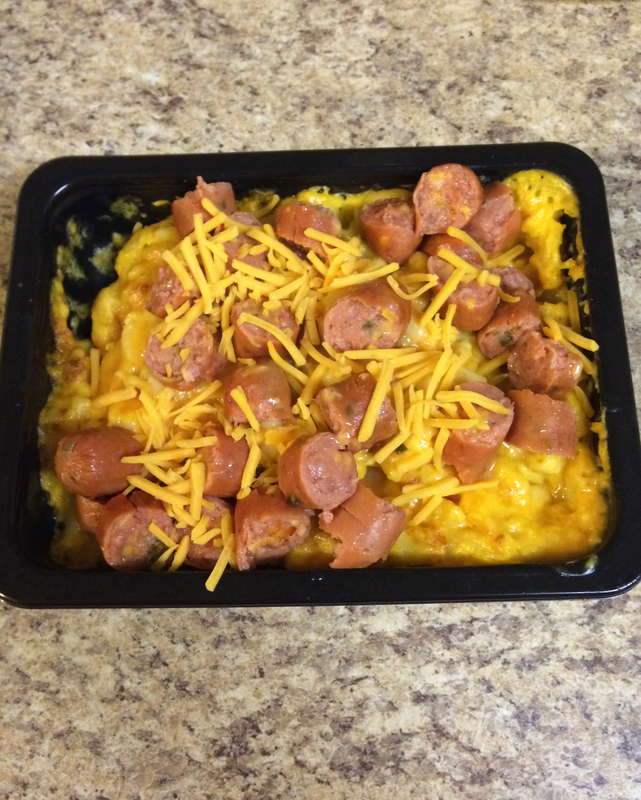 Cheddar Meat Mac & Cheese – I decided to get gourmet for this one. Sidney wanted to relax and watch “Big Brother” with no distractions so I told her I would handle the cooking duties. Due to a trip to Wal-Mart earlier in the day, I was well prepared. I pulled out the Reser’s brand macaroni and cheese side dish package from the refrigerator (yes, there is a brand out there called Reser’s) and prepared it in the microwave oven. When that timer went off I quickly pulled the mac & cheese out because I needed to put the next item in. After spending a good 30 minutes looking at Wal-Mart’s hot dog section, I decided on these cheddar jalapeno links. I cooked three of those franks up until I was nearly salivating. Then, using my famous knife cutting skills, I chopped the dogs up and poured them on the pasta. This was one of the more memorable dishes I cooked up. A good chef always knows when it is right to introduce an extra ingredient to really make a dish memorable. Not skipping a beat, I opened my refrigerator and once again brought out that pre-grated cheese. I sprinkled several shreads on top of my masterpiece. It truly was the cherry on top of the sundae. 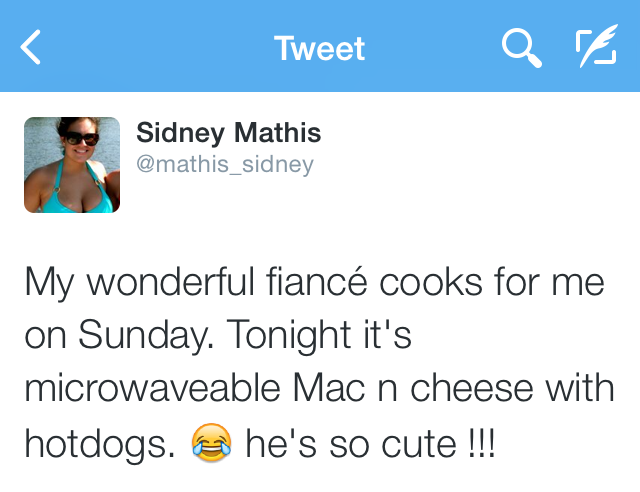 Sid tweeted out her appreciation for my labor in the kitchen. 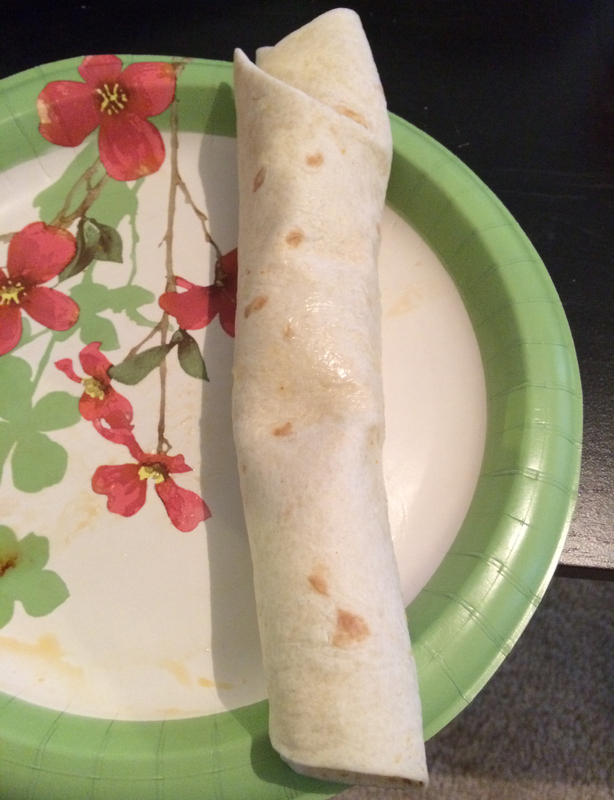 Tortilla Dog – Those who know how to cook also know how to be resourceful. Driving home from work a couple days ago I came up with an amazing idea on how to enjoy the remaining cheddar jalapeno dogs. The concept literally popped into my head out of nowhere. After I got home and published my blog post for that day I might have made history. I put two dogs in the microwave and then wrapped each one in an oversized tortilla. It was a hot dog burrito so to speak. It was such a nice change from a bun or a piece of bread. I immediately thought that these could definitely be sold at minor league baseball games. Score another one for Chef Brent! Yes sir! There is a hot dog in that tortilla. Who knew it would take someone so long to come up with this?! So yeah, Sidney will most likely continue to do most of the cooking. However, I have clearly demonstrated that if she doesn’t feel like preparing dinner, I am more than capable of utilizing my culinary talents…just as long as a microwave is available. Don’t Blink. This morning I received a very nice surprise. A co-worker of mine who works in a different department on campus paid me a visit. The fact that she came to my office was a treat in and of itself. Since Singleton Hall is currently under renovation, I am now working in an area that is tucked away inside a building that isn’t very well known. But having someone other than my Media Services friends swing by my office wasn’t the only joy. My visitor brought with her a gift. The person who visited me and brought me a gift today was April Betsch. This is the two of us at a social media meeting in December of 2014. In a gesture of true thoughtfulness, April Betsch, our Associate Director of CHANT411*, presented me with something that every social media marketer should have. 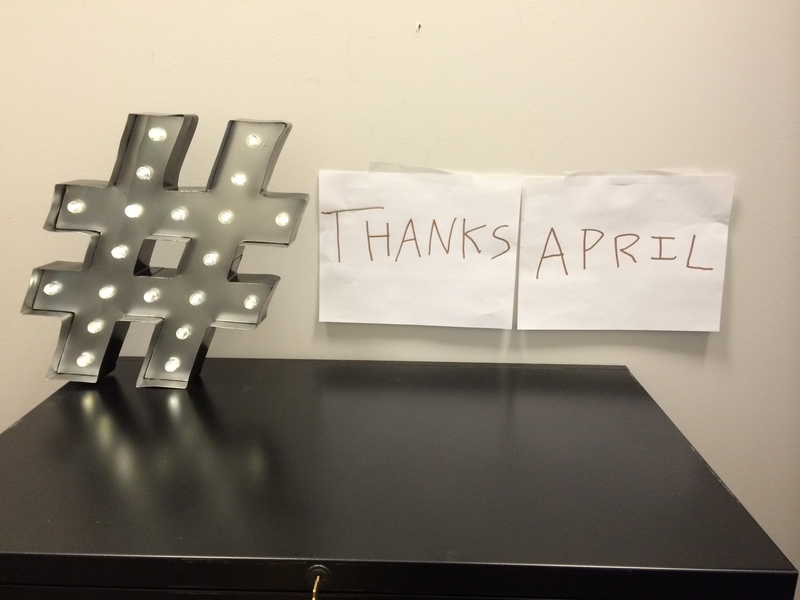 Handing me a box, I looked at the front to realize that she had gotten me a 13.5-inch tall HASHTAG LED sign. Not only did she purchase a perfect gift for someone like me, she also cared enough to stock it with batteries before handing it over. April had found the gem at Michael’s and immediately thought of Coastal’s goofy social media guy. Not only does the sign fit my personality and career choice like a glove, it also provides an aesthetic touch to the uninspired way I set up my office. 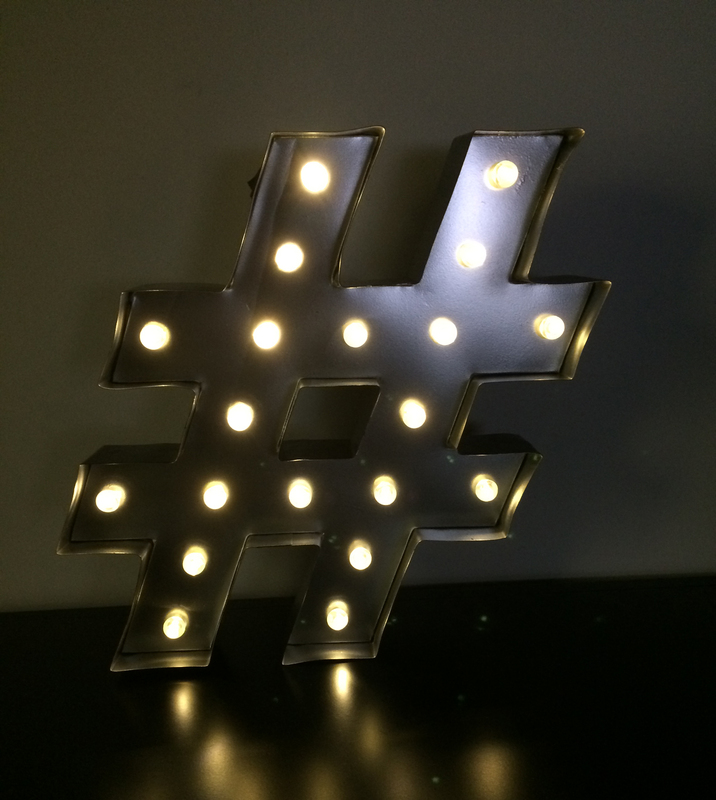 A look at my hashtag sign shining brightly in the dark. April’s visit and gift did more than brighten my day, however. It got me thinking that I need to take her lead and do more nice things for others. I feel like I do a good job of showing my loved ones that I value and appreciate them but what about people outside of that circle? 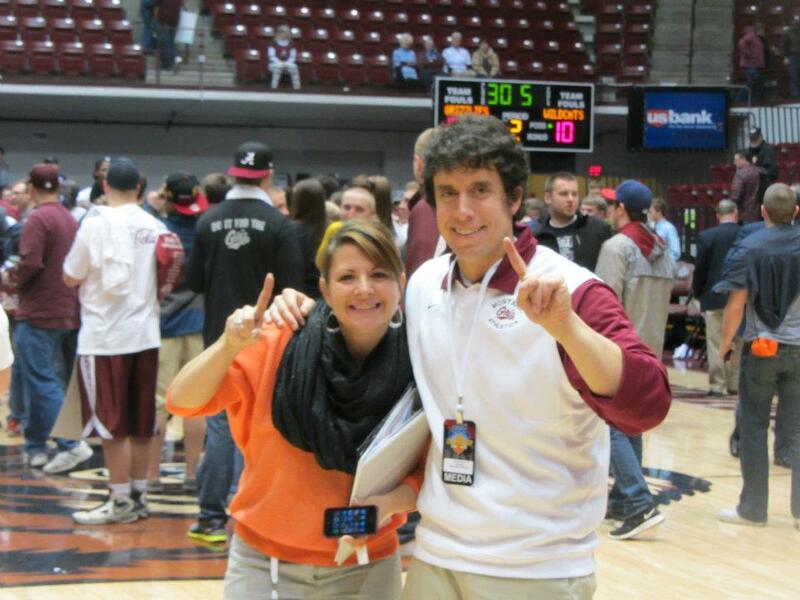 I surely would not live the life that I do if not for co-workers, service folks, students, and others. While I do try to go out of my way every now and then, it probably isn’t to the degree that April does it or the degree that countless other humanitarians do it. Thanks for the great gift, April! Some call it “random acts of kindness” and some call it “paying it forward,” but for me I can’t look at it that way. In my head, those terms are too strictly equated with one time deeds and Starbucks drive-thru gimmicks. I need to just do a better job of being kind and thoughtful 24 hours a day. I need to seize more opportunities and recognize more people. I hope to take the inspiration I gained from April today and use it to be a more consistent and better person. As long as this means that I still don’t have to like Tom Brady I think I can do it. Don’t Blink. 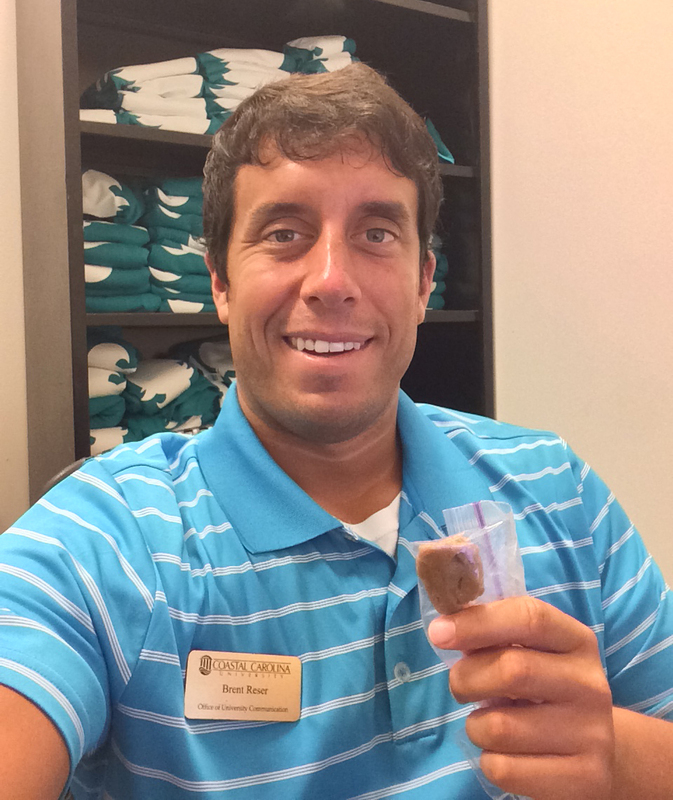 * – CHANT411 is a very unique service at Coastal Carolina University staffed entirely on the ground level by students. The campus community can contact CHANT411 with a question through phone, text, e-mail, in-person visit, etc., and receive an answer promptly. 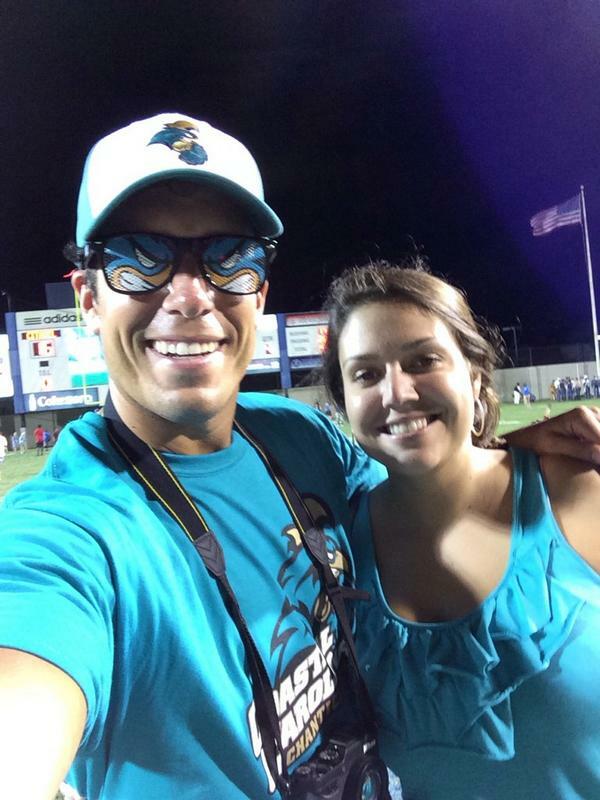 In addition to providing information, the organization also undertakes numerous initiatives to make the campus a better place and to boost morale of the CCU family. Very rarely you will see me mention politics in my blog. There is good reason for this. To be completely honest, I am just not a political person. I might lean a certain way but in no way am I informed enough to engage in a discussion centered on politics. This blog post will mention a person involved in that arena but will focus more on his own personal strategy as opposed to his political beliefs themselves. So while I can’t speak on the issues, I feel I can speak on the way a person strategizes to obtain the position he wants. Over the past few months, especially the last few weeks, I have watched “The Apprentice” host go absolutely nuts on Republican rivals, the Democrats, other countries, and everything else under the sun. Why would a billionaire with too many business ventures to count spend his time dishing out all of this negative energy? Well, that was both a stupid and rhetorical question. Donald Trump is fighting for the Republican nomination for the President of the United States and the man couldn’t care less about playing nice. At first, I didn’t know what I really thought about his outspoken, shock-value approach. I mean he has said some really controversial and mean-spirited things. But then I stepped back and thought for a second about all he has said. I can count two instances where I think he completely crossed the line. The plethora of other barbs and attacks he has launched seem to be fair game to me. Unconventional, yes. Outlandish, maybe. I laugh to myself when the media reports on his latest quote, which now just happens to be on a daily basis. He doesn’t hold anything back. He doesn’t mind bashing China or giving out a rival’s phone number. He will flat out say that politicians are doing “terrible, awful” while praising himself to no end. He will call people ugly. A reporter will ask a question and without giving his brain a second to think he will rattle off an answer that half the country will think is offensive. He will then do it again and again. By all accounts he is absolutely ridiculous. But perhaps more remarkable than his ridiculousness has been his rise. I still find it very hard to believe that Donald Trump is now a frontrunner to serve as the nominee of a major party. Although hugely successful and a household name, hasn’t he been somewhat of a joke in American culture? His candidacy last Presidential election was pretty much written off as a publicity stunt. But this time around it has seemed like the more times he has issued brash statements, the more support he has generated. He is pulling Americans over to his side. It takes me some time to get past his entitled, airy-sounding voice (his hair actually doesn’t bother me), but when I do, I have started to actually kind of like the guy. He is just so different and so confrontational that I am semi-drawn to Trump. Believe me, I never thought I would be saying this, especially four years ago when I wrote this. But in the same way that I respect Simon Cowell and Judge Judy for their brutal but honest take, I have started to revere The Donald a little bit at a time. It is humorous to watch the jaws drop of political rivals and analysts as they see Trump rise in the polls. What he is doing is quite remarkable. Like I said, I don’t really talk about politics but give me just one minute to say this. While the guy has won me over to a degree and I do marvel at what he has done, I just don’t believe I could vote for him. I can’t see him constructively meeting with world leaders, I can’t see him sending our troops to war, and I can’t see him sitting in the White House with integrity. Just because I mildly admire him doesn’t mean I would vote for him. With that said, the Presidential election is still well over a year away. Before I get serious, I still have a lot of time left to watch the “Trump Show” play out. So pull up some popcorn with me and get comfortable…I think there is still a lot left to see! Don’t Blink. Needing a dynamite topic for my Sunday night blog post, I asked two of the people closest to me, my fiancé and brother, for ideas. Since Sidney responded first, I have decided to go with her suggestion. So, in true David Letterman style, I give you my top ten list for reasons I should give up my blog. 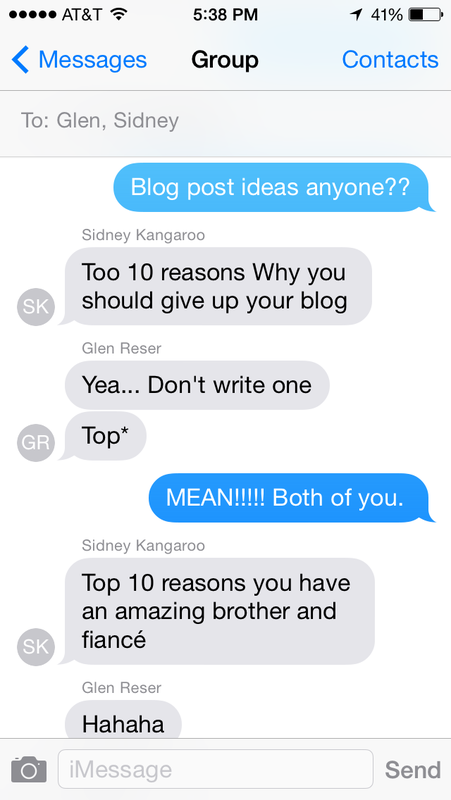 I asked my fiancé and brother for blog post inspiration. They delivered! 9. Blogs were so two years ago. 8. 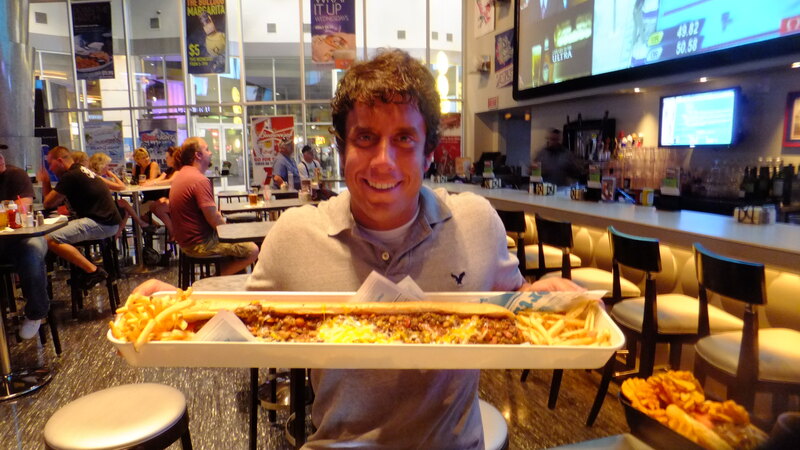 Would lose weight by not over-eating, attempting wacky challenges, or going on “Bar Rescue” tours. 7. No longer would I receive hate mail from crazy parents mad as hell that I defended my high school football coach. 6. Opportunity to devote the roughly 40 hours I spend on my blog a month toward something constructive. 5. Realization that I need to leave the writing up to people who actually have journalism degrees. 4. Haven’t I bragged enough already? 3. Free up my Facebook and Twitter accounts from awful blog topic teasers. 2. Money saved from promotional pens, cards, and bricks. 1. No one reads it anyway. Even with these ten convincing reasons staring me right in the face, Don’t Blink will go on…for now. Do you have any input on why I should stick to my day job? Let me know! Have a great week, everyone. Don’t Blink. Instead of insulting my readers with another one of my terrible invention ideas, I want to do something else. Basically, I want to give praise to a concept already out on the market right now. I have a lot of friends in marketing and a lot of friends in the promotional product supply industry who are always looking for the next hot item. Now this particular promo piece isn’t exactly cutting edge but it is still relatively new. Trust me, I haven’t met anyone yet that doesn’t like what I am about to talk about. Right now I am really big on customized sunglasses. I am not talking about some cheesy writing on the frame or bridge though. Rather, I am all about the glasses with fully customized lenses. By now most of you have probably seen them. You go to a game and you see people sporting shades with their team’s logo or mascot as the eyes or you see slightly intoxicated college kids wearing shamrock-graced glasses at a St. Patrick’s Day celebration. Although not everywhere just yet, you have probably seen them at least once or twice. 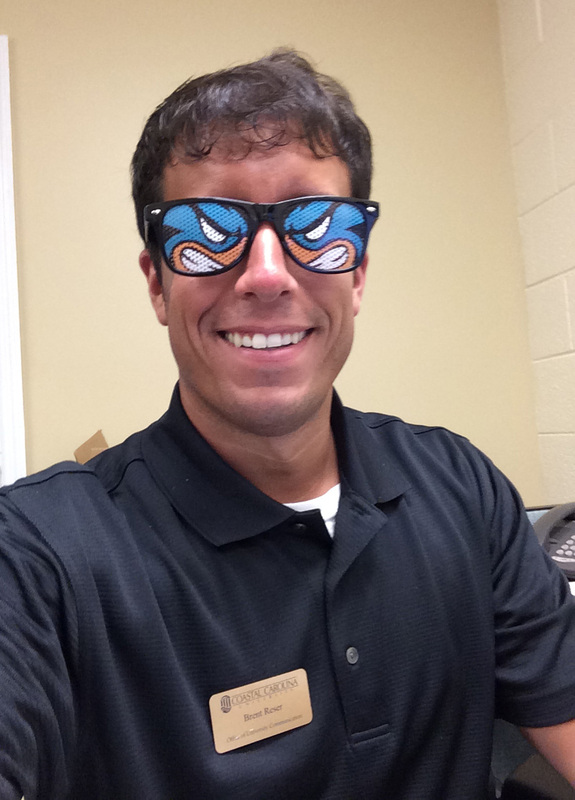 Rocking my #CCU Chauncey glasses in the office. These customized glasses are the best. Because I work in marketing at a university, I have access to and distribute a large quantity of promotional items. Including our t-shirts, backpacks, cell phone wallets, and other highly sought giveaway swag, nothing holds a candle to the popularity of our Chauncey shades. 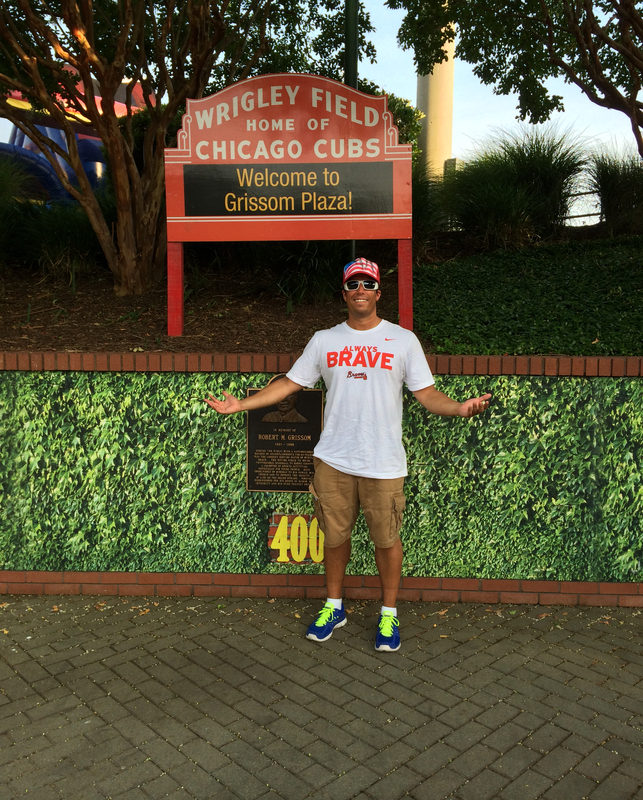 This summer I have especially seen the impact they have on students and adults alike. 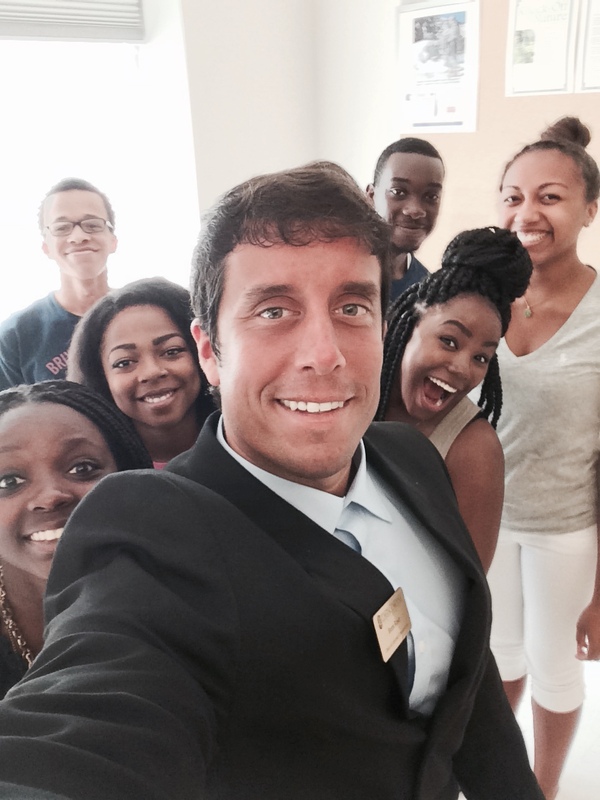 Our university holds 12 orientations in June and July for our freshmen and transfer students. On the second day of each orientation, there is an information fair where different entities on campus are given the opportunity to promote their causes to the new students and their families. I have my own #CCUSocialMedia table at the fair. During these one-hour sessions, I sport the Chauncey sunglasses. The reaction I get is priceless. 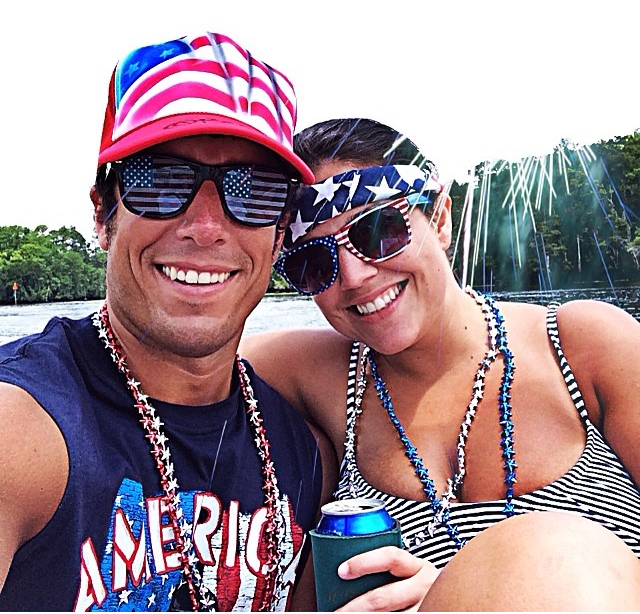 I wore these patriotic glasses for 2014 Fourth of July. Students come right up to me and ask how they can get a pair. Parents stay back and stare at me (thinking I am not looking at them) like I am some sort of freak. However, that moment of shock only lasts for about five seconds where upon they crack up laughing and come up to me to say how much they love the glasses. I have been asked no less than a thousand times whether or not I can see out of them (the answer is yes). I almost covet the collective reaction that the glasses garner more than the opportunity I have to promote #CCUSocialMedia. No wonder I decided to use them in a social media campaign. 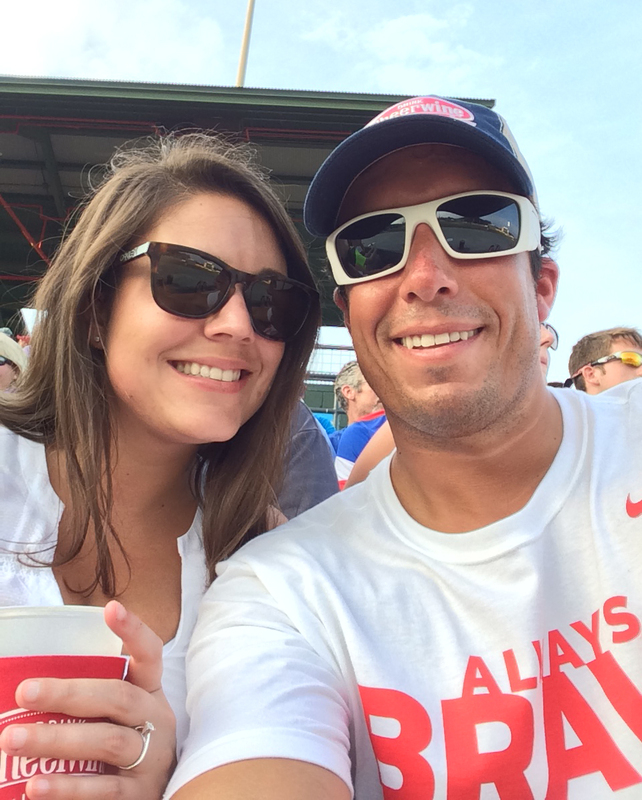 These glasses are great to wear at games. Personally, I love customized sunglasses as well. I find them fun and distinctive. 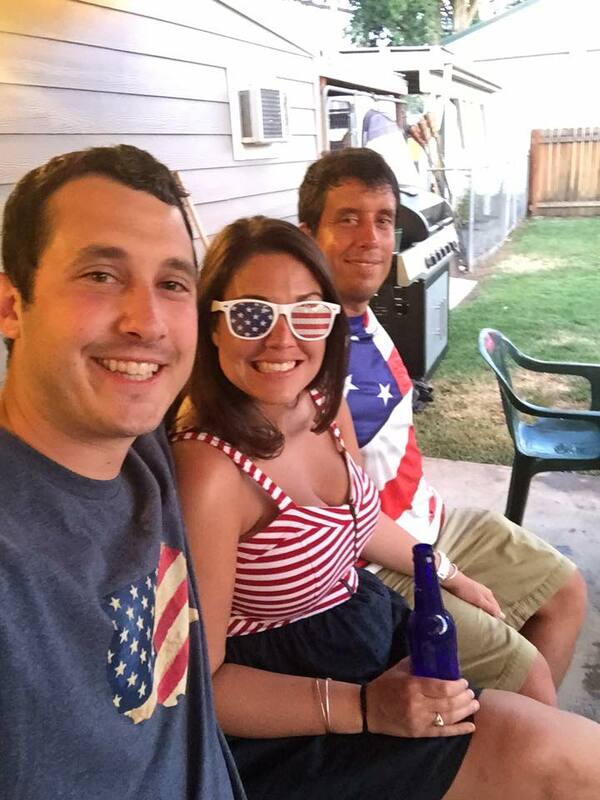 The past two Fourth of July holidays I have rocked patriotic shades. You know how in “Big Daddy” the boy wears those sunglasses and he feels invisible? When I put on customized glasses I don’t feel invisible but I do feel an extra level of confidence. The fact that others can’t see my eyes but are still looking at the glasses themselves because they think they are so cool gives me a sense of comfort. Even as a 28-year-old adult, I have no shame putting them on. Sidney wearing my glasses that I wore this Fourth of July. 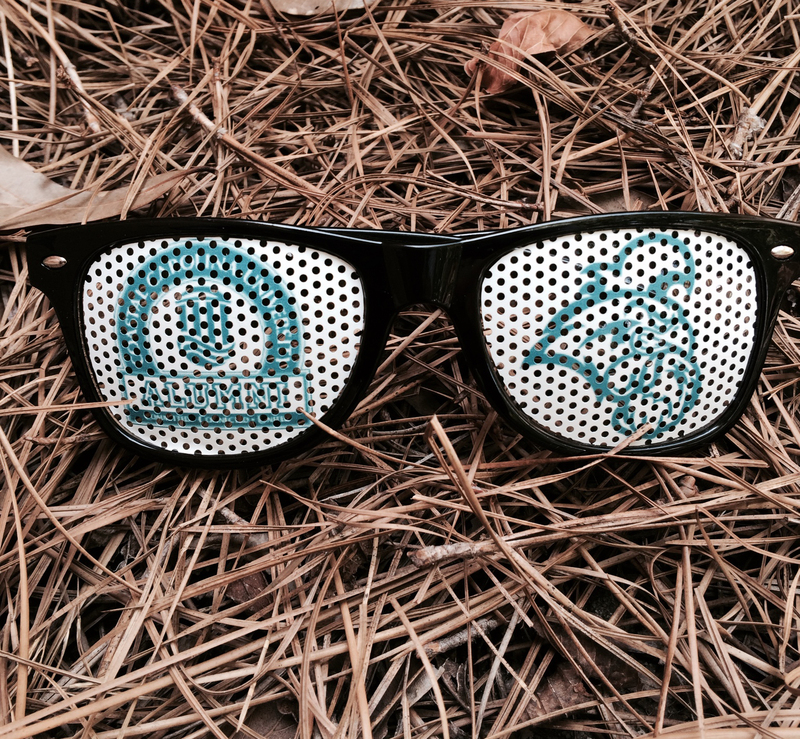 In my opinion, customized shades just stand out compared to all other promo items. 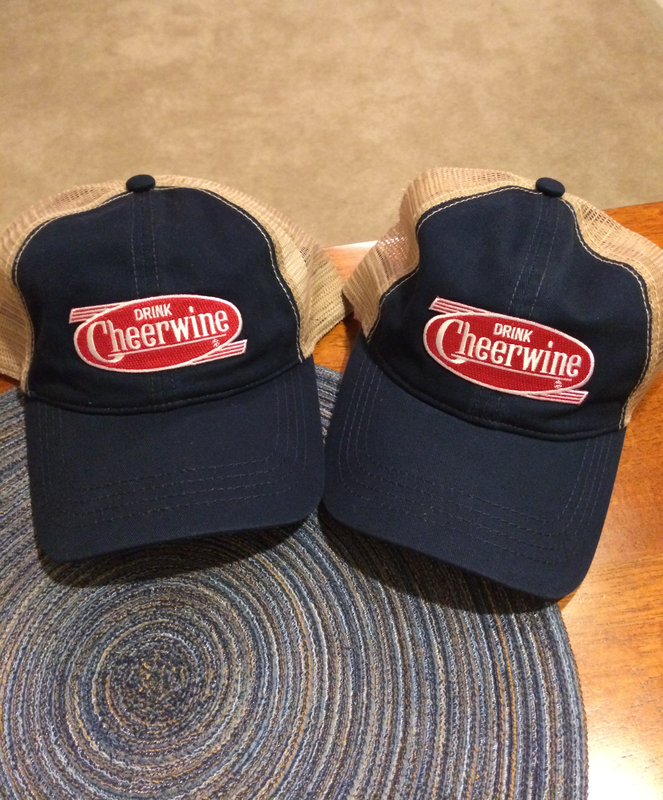 They are a little bit pricier than some other pieces of swag you might buy but the practicality, durability, and demand will more than even out your investment. Even though when I wear them you can’t see my eyes, please know that both of them are both WIDE OPEN. Don’t Blink. This morning I had another really cool speaking engagement. 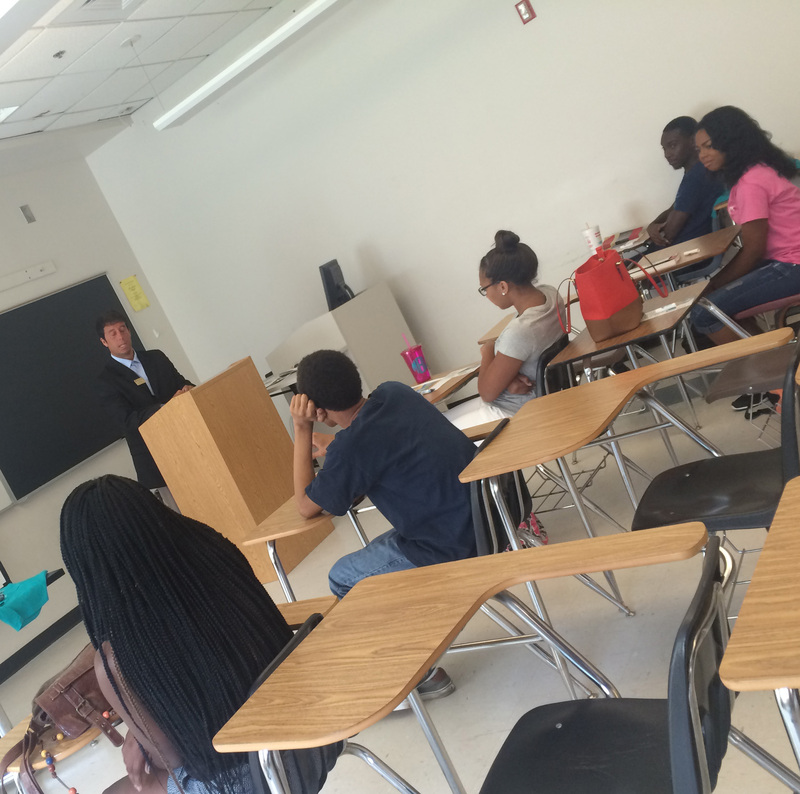 I was invited to speak to students enrolled in our “Each 1 Teach 1” program here at Coastal. Designed to give high school students a head start to develop leadership and entrepreneurial skills before hitting college, this program is the brainchild of both our business school and education school. Myself with some great Coastal Carolina students and Conway High School students after today’s presentation. The topic I was specifically asked to address? Social media image. I have spoken about this topic before and I think sometimes people have a different idea on what I am going to say. When I go up in front of others though, especially young people, I never present a message of doom and gloom. I don’t tell students to fear social media, post sparingly, and/or set all their accounts to private. Rather, I tell them to completely embrace social media in a way that will enhance their personal brand. Today I told the students to stay up on latest social media trends and to have a solid presence on all the major social media networks. I tried to relay to them that a job candidate with a vibrant and professional social media presence will appeal to employers more than the candidate with zero social presence at all. I explained that folks who maintain engaging social media public profiles show that they are sophisticated, current, and have little to hide. Ooops! I am definitely blinking in this photo. Of course I did touch on the unfortunate users who sabotage their social media image with loud opinions, insensitive comments, and embarrassing rants. We went around the room talking about each of our social media pet peeves. I cautioned them about a common career-ending feature that is available both on computers and iPhones, the screenshot, that can make your most ill-advised tweet or post live forever. I let them know that social media does have a dark side. But by a wide margin, my 30-minute presentation today was mostly focused on the opportunities we all have to utilize social media in a way that will help us achieve greater success. To the high school students in the room I told them to start now on building their social media presence and personal brand. Don’t be afraid to showcase what makes you stand out and what you can bring to the table via your social channels. There is no greater tool we have to tell our own individual stories than through social media. Don’t Blink. If you are a blogger like myself and want a good idea every once and a while, read Parade Magazine. This Sunday newspaper insert has more than once given me ideas on what to write my blog post on for Don’t Blink. Take today for example. I was reading the cover story, “Going to Sleep with Arianna Huffington,” and glanced at the article’s sidebar. It contained Huffington’s top six tips for falling asleep quicker while also enjoying a more fulfilling slumber. I read each of her pointers and really didn’t agree with them all. In order to set Arianna straight, I thought I would offer my own tips for falling asleep quicker. Instead of offering a list with a puzzling number of items (who makes a list of six? ), I will keep it at five. 1. Read In Bed – Nothing is more relaxing or therapeutic than reading in bed. Not only will it keep your mind sharp and make you feel comfortable, it will also eventually put you to sleep. Many times I have put my book down and turned off the light only to fall asleep instantaneously; other times I have fallen asleep with the book still on me! 2. Freezer Room – I love sleeping with it freezing in my room! I turn on the air conditioning and also have my ceiling fan running. I then retreat under the covers. I like the combination of an ice box room with the comfort of warm covers to balance it all out. 3. Sweet Aroma – Before I jump into bed, I like to spray my favorite air freshener in my room. I equate my favorite Glade spray with familiarity and happiness (not to mention I love the smell), so by pumping out a few sprays, I feel content and safe while snuggling into bed. 4. Good Night Texts – Usually right before I start reading, I like to send out good night texts to my loved ones. By doing this, it provides me with some closure at the end of the day, thus allowing me to sleep better. Sometimes I will get replies while I am reading and sometimes I will wake up the next morning to them. It is a reflective exercise, one that lets others know you care about them while also putting you in a great state of mind to get some ZZZZZZs. 5. Work Hard, Sleep Hard – Of course the absolute best way to get a solid night’s rest is to rise early in the morning and work hard the whole way through. Live each of your days as if you must earn your sleep come the end of the night. Going to bed exhausted is always the best practice. Perhaps some of you might be shaking your head at my advice considering the source. I am after all the king of the four-hour per night sleep schedule whose motto happens to be “Don’t Blink.” But take this post as you will, I am sure it will help you as well. Sleep well tonight. Don’t Blink.